Completing a bathroom remodel is a great way to add beauty and value to your home. Fortunately, easy tips are available to ensure a successful renovation project. Finding Inspiration. There are multiple avenues through which to find ideas you love: you can leaf through home interior magazines, search social media sites such as Pinterest, or visit home-improvement stores to view various displays. Choosing Fixtures and Tiles. Keeping the picture in mind of what you found appealing when searching for inspiration, decide which tiles, colors and fixtures best match your ideal for a remodeling project. For example, if you prefer a modern theme, colored fixtures may breathe new life into your old bathroom. If a traditional or Victorian bathroom is desired, brushed nickel or gold tone fixtures are ideal. When choosing tiles, remember that smaller tiles feature more grout, which means a less slippery floor. Ventilation. Ventilation should also be updated when you remodel. Moisture is your bathroom’s biggest enemy, and mildew and mold will quickly devalue any renovation project you have completed. Therefore, be sure to consider the installation of a new ventilation fan or any other hardware necessary to ensure that the bathroom is properly vented for many future years. Hire a Contractor. Only hire a contractor with a good reputation and plenty of experience. Because your home is a large investment, you should take your time with the selection process in order to ensure the best possible choice is made. Details. When planning your renovations, give appropriate thought to the location of lights and fixtures and how they will be used. Walk through your old bathroom and decide if you want one or two mirrors, single or multiple wall sconces, and where you want cabinet hardware, towel bars and shelves. Such details are important, and communicating such information to your contractor in advance is very helpful. Regardless of the style you prefer, completing a bathroom remodel is a great way to add value to your home and the aforementioned tips will help you enjoy a successful renovation project. I like that you suggest to update the ventilation when remodeling a bathroom. I can see why this would help prevent any mold or mildew from taking up residence there. My mom has been thinking about remodeling her bathroom in the summer. I’ll be sure to mention this to her when it gets closer to do it. I agree that it is a good idea to hire a contractor that has a good reputation when remodeling your bathroom. It makes sense that understanding this can help you make sure you get quality work done and minimize your stress levels. I would want to find someone that is ok with walking me through the process and knows how to communicate with me. My husband and I are planning on doing a bathroom remodeling. I like how you explain that it’s important to update the ventilation so that there’s no moisture in the bathroom. I think I’ll share this information with my husband. I think it makes sense that hiring a contractor with a good reputation is important when planning a remodel. I feel like a reputable contractor would be able to provide much better results than someone who’d be more likely to cut corners. Since my wife and I are planning a bathroom remodel, how would you suggest finding a contractor we can trust? I appreciate you talking about the importance of choosing a contractor with experience with doing bathroom remodels. It makes total sense to think that doing this will help you get the changes you want and make sure hey are safe and long lasting. My wife wants to remodel a few parts of our home before we put it up in the market to increase its value so I’m glad I found your post. I never knew that hiring a contractor for your bathroom remodel can help protect the investment you’ve made in your home. My sister just bought an older home. Hopefully, she can use this info to get the dream master bathroom she has always wanted. I like your advice to visit home-improvement stores to view various displays in order to get the inspiration you need. My husband and I want to start remodeling our own bathroom to make it bigger and a little more luxurious and until now we haven’t done much else other than look on the internet. We should probably take the time to look outside of our home for inspiration or maybe call a bathroom remodeling company to see if there are any ideas they would have of what we could do. We want to remodel our bathroom soon, so thanks for these tips. I hadn’t even thought about the ventilation, but you’re right, the moisture is a problem! We’ll be sure to put in new fans and everything. Our bathroom really needs to be updated, so thanks for this. I like how you talked about the ventilation, which I hadn’t even thought about. However, I don’t want to mess with mold or anything in the future! It makes sense that ventilation would be an important thing to consider when remodeling your bathroom. My bathroom is definitely old and outdated. I think that I would like to look into having it modernized and giving it a brand new color scheme. Thank you for all this great information about remodeling bathrooms! I really like your point about walking through the old bathroom to decide if I like where the bath fixtures are placed or if we need to plan changes. We’ve been wanting to redo our bathroom for ages and we’re finally doing it next month. My wife and I have been seriously considering a new bathroom plan, but we weren’t quite sure how we would get it done. It makes sense that you would want to find a contractor with a good reputation and experience. That way, they might be able to find something that will fit your house very well. Our master bathroom is in need of a serious makeover. I am glad you pointed out that when it comes to renovating that we might want to look into hiring a contractor to help out. This will be helpful in making sure that everything is done right, and will get it done in a timely matter. I liked that you talked about how it would be smart hire a contractor to install tile. That is a good thing to know if you don’t have the equipment to do it yourself. I wouldn’t want to figure out how to use a tile cutter myself. My husband and I recently moved into a new house that we knew would need renovations after we bought it. Before reading this, I hadn’t thought about updating the ventilation in the process, but I can definitely see how that would prevent mold and moisture build up. It sounds to me like the more planning you have done before the construction, the more likely you’ll be to like the outcome! Thank you for the information. I like your suggestion to hire a contractor with both experience and a good reputation. My wife really wants to have our bathroom redone, and it will require a lot of plumbing work to be changed. I’ll be sure to call references when choosing a plumbing contractor to ensure we get someone with enough experience to properly handle our project. Bathroom is one of the important part of the house. They said it reflects the people who are living in that house. I think its the reason why most homeowners are interested to make their bathroom clean and beautiful. A must read information. Thanks for sharing this! Reading this is making me thing it’s time to redo my bathroom. Thanks for the tips! Thanks for your tip to remodel your bathroom by adding new colored tiles. I like what you said about how gold tones are perfect for classic styles. My husband and I are considering updating our bathroom to look more modern, and we are considering remodeling contractors. Great tips! I agree that you should find an inspiration. If I would remodel our bathroom, it’s something I would focus on. I just like the idea of a full room transformation. I do agree. When it comes to remodeling, only hire contractors that have a good reputation and plenty of experience. I would love it if I can get a contractor that can give potential advice on accessories in the bathroom too. I’ll be sure to follow your tips when my wife and I start our remodeling project. Thanks for the great article! Your tips are so unique. You are giving that key from where to start for remolding. Thank you for sharing your creative ideas. I definitely follow these. Even about fixtures, you have guided very well. Thanks a lot. I’ve been wanting to get some bathroom remodeling done, and I think that being able to choose the right fixtures would be good. I’m going to have to do some shopping around and find some inspiration for our remodel like you talked about. Hopefully we’ll end up with a great looking bathroom remodel! Thanks! I liked that you had mentioned that it can be important to hire a contractor that has a good reputation and a good amount of experience to make sure you get the best possible contractor. My wife and I have been thinking about getting our bathroom remodeled for a while now but we haven’t really known where to start with the whole process. We’ll have to start looking around for a contractor that has plenty of experience to handle our bathroom job for us. I am looking to create a modern theme, so thanks for the tip to look into colored fixtures as a way to breathe new life into my bathroom. With bathroom renovations, I want to create a space that is clean looking and has plenty of ventilation. Hiring a contractor is something that I’ll be sure to do when working on my bathroom’s remodeling. 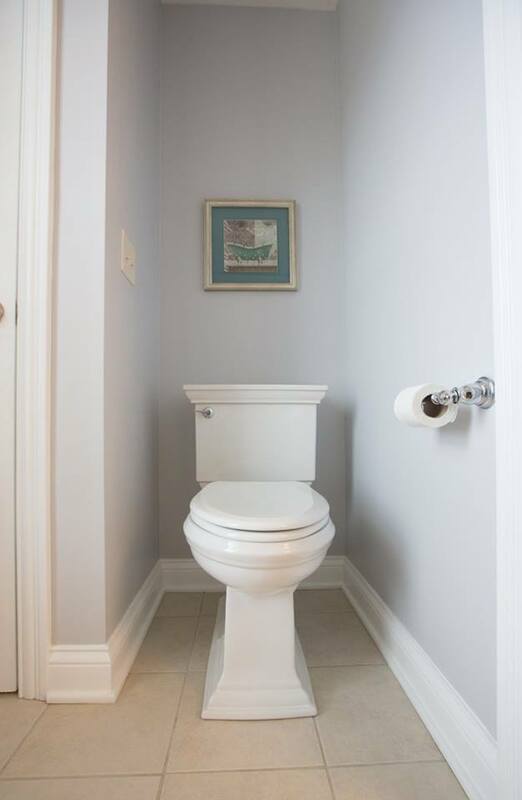 It is the best post for bathroom renovations. Thanks for sharing these amazing and fantastic tips for bathroom remodeling. Keep on such an informative blogs!